Refrigerator Maintenance: Almost every home has a refrigerator in it, and you’d be pretty stuck without it, so it is a good idea to keep it well maintained. A good refrigerator can last you up to twenty years if you look after it properly, and you don’t need to do much maintenance on them. The coolant inside the fridge will never need replacing, you just simply need to vacuum the coils on the back of the fridge. A lot of new models these days come with a dust cover to stop anything from getting into the back, so you won’t need to do much maintenance at all. Be on the lookout for water build up in the tray at the bottom of the fridge, which can cause mold. This can be easily stopped by emptying and cleaning out the tray once in awhile. If your fridge does end up breaking, it is cheaper to get it repaired than to buy a new one. Click here to find repair services in your area. But, if you do end up getting a new fridge, then you need to make sure that you properly prepare it before using it. It needs to be left for twenty four hours before being switched on otherwise the coolant will not settle properly. Stove Maintenance: There are many different types of stoves, and most of them tend to be electric but a lot of people are opting for gas these days. If you want to make your stove last, then you need to give it proper, regular cleaning. Your oven may have a self cleaning option but this will use a lot of electricity and are not always as effective as putting some serious elbow grease into your cleaning. Cleaning it just after using is the best way to maintain your oven. Washing Machine Maintenance: An older washing machine that is not properly looked after can be prone to leaks. This can be very damaging to your home and leave you with an expensive bill. But, there are a few things that you can do to make sure that this doesn’t happen. Most leaks come from the pipe in the back of the machine, so it is best to use a threaded pipe. Avoid over tightening it because this can cause the washer to crack and the washing machine to leak. Putting too many clothes in at once will also damage the motor in your machine, and putting too much detergent in can cause clogging. Make sure that you measure the correct amount each time to keep your machine running longer. And, if you live in an area with hard water, then it is worth running some vinegar through the machine every so often to stop limescale from building up. You’ve probably realized that in life, there are things that we always get used to and it becomes second-nature to us or we take it for granted. For instance, if you’re sitting at a computer right now or using your smartphone to read this article, then there are probably some muscle-memory maneuvers that you’ve practiced over and over again which became so natural that you don’t even think about it. This is just the result of our brain getting used to something. If we repeat a task long enough, it becomes something that we do without thinking. This is, sadly, something that can have both a positive and negative effect. The negative typically comes in the form of things that we do at home and most of the time it has to do with home repairs. Faults around the home are often the result of some underlying issues. If left for too long, it could negatively effect our lives and even cause more damage than you’d expect. For instance, a leaky pipe might not be much of an issue now and you’ll probably deal with it by putting a dish underneath the pipe to collect the water, or you might take it a step further and plug the pipe with something. However, that doesn’t change the fact that you have a crack in the pipe that can grow larger and eventually cause a lot of damage to your entire plumbing system. A quick Google search of “plumbers near me” will reveal dozens of services that are more than willing to perform inspections and fix your issues, no matter how minor they seem. Just remember to take every home repair seriously so that they don’t spiral out of control. Remember that faulty air conditioner in your home that broke towards the end of last summer? Perhaps you haven’t used your air conditioning unit for a while because we’re only in spring, but why not fix it before summer comes? A broken air conditioner that spits out less air or isn’t as cool as it should be is a faulty one. Perhaps you didn’t mind because it was the tail end of summer and the days were getting shorter, but that doesn’t mean that you should leave it broken and force it to become part of your life. Never settle for broken or faulty appliances and always repair them to get the most value out of them and to prevent them from developing more faults! Summer is such an amazing season. The weather gets warmer, people get happier, things are generally a lot more relaxing and laid back. There’s not a lot to grumble about – unless you haven’t made the preparations to enjoy this time of the year as much as you could have done. The more dormant months that make up winter into spring are the ones that need to be utilized in order to get everything ready and raring to go to make this year a summer to remember! In The Garden: There’s a lot in the back yard that we put to good use in the summer months. Things like barbecues, furniture, and the garden in general all need a good seeing to before the warmer weather hits. Ideally, barbecues should be stored inside a place like a shed or garden room in order to prevent rusting or at the least have a cover on them to protect them from the colder weather that the winter months throws at them. If you haven’t done this, now is the time to get out the wire brushes and go to town on cleaning it down and making it safe for further use. Furniture, especially if wooden, needs to have a lick of weatherproof paint to keep it in excellent condition for the next couple of months. While plants and grass tend to get out of control once the sun starts to beat down on them, there is a time when they are dormant and more manageable. Getting on top of the garden before the garden gets on top of you is definitely the way to go! In The House: We all know that summer, in the majority of cases, means warmer weather. This means that we need to make plans for getting ourselves cooler and back to a normal body temperature again. It is so easy to overheat without realizing it, and the chances of dehydrating yourself are greater during this period of the year. If you know that your air conditioning was giving up the ghost at the end of last year, consider getting an ac repair service done to get it back to good working order. Ensure that everything that keeps things cool is working, like your fridge and freezer. The last thing you want is for either of these things to fail in weather that the food is more likely to turn bad in. And it would be a shame for all of those delicious popsicles to melt into a sticky juice! Buying a home is a momentous occasion in many people’s lives. The process can be daunting, long, and full of highs and lows – most of us have experienced the drama of finding our supposed dream home, only to lose out on it at the very last minute. Yes, the property market can be fickle. But it is also worth being realistic about it. Very few people actually stay in their first home, or even their second homes, forever. As homes are progressing in value all of the time and as people start to need more room for whatever reason (children being the most common cause), buying and selling property is something many of us do every few years. Get Any Maintenance Issues Fixed: If you’re planning on being out of your house in a few months, it can be tempting to leave that annoying maintenance issue for the next tenants to deal with. 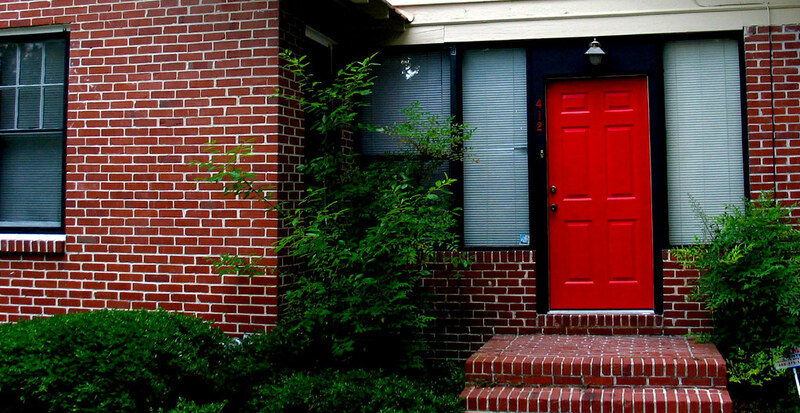 However, this could potentially cost you the sale of the house. Buyers aren’t stupid, especially when there is such a huge amount of money at stake. Don’t try to pull the wool over anyone’s eyes, because you just risk the buyer pulling out at the last moment when they find out what is truly wrong with the house. Spend some time and money getting any outstanding issues fixed – it will pay off, we promise! Spruce Up The Outside Of Your Home: It’s easy to see why most people spend money on decorating the inside of their homes as opposed to the outside – after all, it’s what’s on the inside that counts, right? Wrong! Well, to an extent anyways. Most buyers now turn to the internet to seek out available properties these days, and the first picture that they are likely to see will be a shot of your home’s exterior. This is your one chance to make a good impression, so make it count! If, for example, you have a large double garage, but it is let down by some ugly titanium doors, find somewhere local that can provide great garage doors to spruce the exterior up a little. Giving your door a lick of paint and adding some shrubs and plants to brighten the place up can also increase the value of your home more than you might think. Focus On The Kitchen & Bathroom: If you have a limited budget for the pre-selling remodel, it is wise to focus your attention on either the kitchen or the bathroom. These tend to be the most used rooms in the house, and for that reason, they are also the most expensive to remodel. 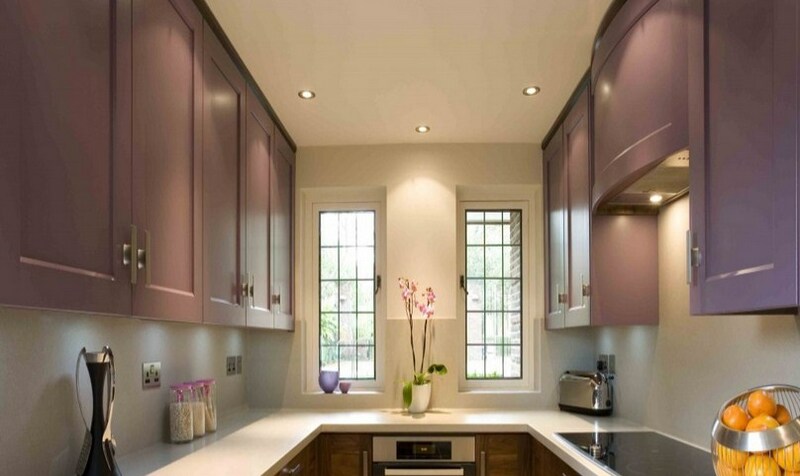 Your buyer will appreciate having a ready-made kitchen or bathroom that they can start using straight away, so if you are going to remodel any part of your property, make sure it is one of these two rooms. Give the inner and outer exteriors of your home a run through, and nitpick what you can find to fix or spruce up to raise your property value today! So, you’ve recently had some bathroom upgrades? Good for you. Too few of us treat our bathrooms with the love they deserve. And, having a good looking bathroom is as important as any other room in the house. More, in fact, because it gets so much use! But, getting the place looking the way you want it is only half of the battle. Because of the very nature of the room, it can be harder to keep things looking nice. There’s water, muck, and other things we’d rather not mention… As such, your bathroom is going to start looking grubby sooner than you anticipate. That’s why we’re going to look at how to keep it looking better for longer. Your bathroom is worth it! Water, Water Everywhere: Water is the biggest problem because, in short, there’s a lot of it! 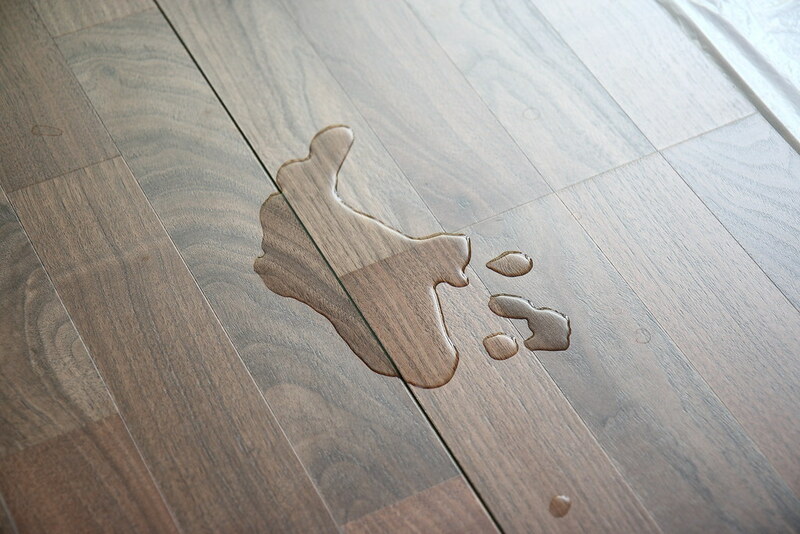 As most of us know, large amounts of water do not mix well with beautiful decor. You have to tackle splashing, condensation, and general water build up. Within no time, your wallpaper will start to peel or your paint will become bubbly and faded. There’s not much that you can do about the amount of water in the bathroom. You have to wash, after all. I mean, your bathroom is important, but not that much! But, there are steps that you can take to reduce the damage. The less water that escapes from your shower, the better. That’s why it’s worth looking at something like this stunning range of shower enclosures. Keeping the water contained will make a huge difference. It’s also worth investing in a bath mat. That way, your floor is safe from any puddles. And, don’t forget to turn your extractor fan on whenever you’re washing. The more condensation you clear, the better. 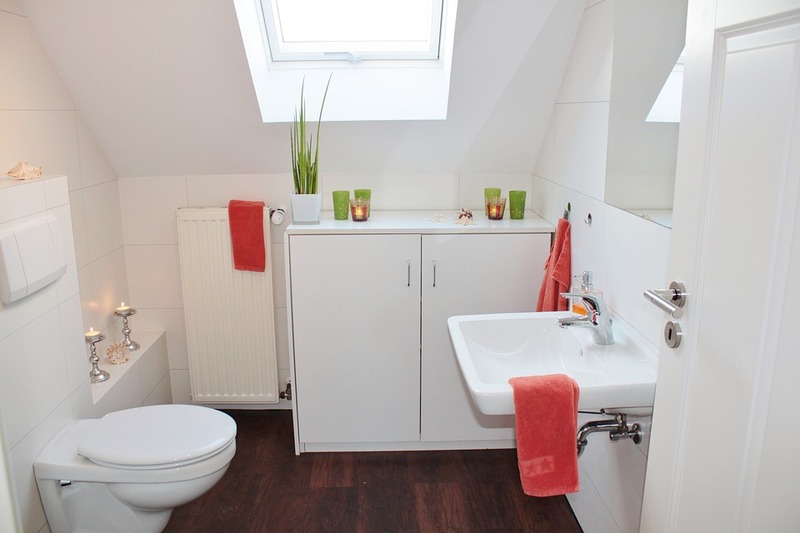 Clean, Clean, CLEAN: The reasons for keeping your bathroom clean are evident. But, cleanliness aside, cleaning will ensure that your decor and appliances stay spick and span. You should give the room a once-over every few days to keep things looking sparkling. Letting this slide will lead to yellow toilet bowls and moldy bath tiles in no time (ew!). And, once you let these problems grow, they’ll be a lot harder to solve. It’s also worth looking into the best cleaning methods. This is especially important when it comes to getting between your tiles. It’s not an easy job, but it’s important that you stay on top of the problem for floors so clean you can eat off of…But not really though, please! Redecorate Regularly: You heard right, we’re afraid. Despite your best efforts, there’s going to come a time when you have to redecorate. There’s a reason so many people have peeling paint in their bathrooms. Blame that good old damp again! But, peeling paint is not going to fit with the beautiful look that you’ve created for your bathroom. The good news is, is that it’s a small room to decorate, so it shouldn’t take an enormous amount of time. Save any leftover paint you have from the first time around and as soon as you notice your paint is suffering, consider redoing it again. It’s the only way to keep things perfect! 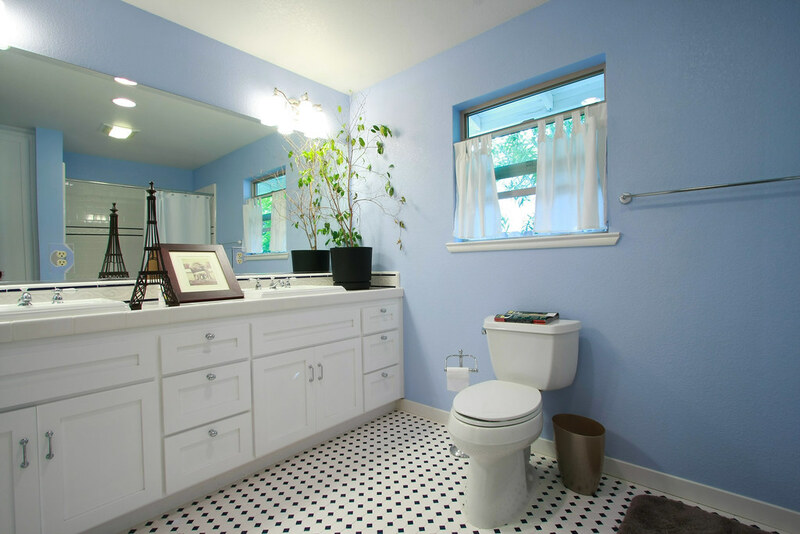 The throne room may not be your favorite room to maintain for obvious reasons but with proper care and a little TLC, you can keep your bathroom looking better, longer!